LISA MANNING – M-F 10A-2P! Not only is Lisa Manning a radio dynamo, she’s an energetic mom that manages a showbiz career and a family life at home with 2 teenagers and makes it look easy. Born into “the business” (her father, a former radio DJ, owned an ad agency in Washington DC), Manning started out cutting commercials at age 6. “My whole family is in the biz in some way,” she laughs. Manning’s mother, a successful actress, headed DC’s American Federation of Television and Radio Artists (AFTRA) and her sister is now the voice of Pearl on “SpongeBob Square Pants” and the voice of Diane on “Family Guy.” The multi-talented Lisa, followed down her mother’s path in acting, as well as her dad’s in radio, which also led to a board position at AFTRA. Launching her nearly three-decade radio-career in college, Manning’s on-air personality was shaped by her experience in several markets, including Charlotte, Cleveland, Norfolk, back to DC, and finally settling in Nashville. Given her showbiz background, Nashville was a comfortable fit for Lisa. She did her share singing demos for Nashville’s top-tier songwriters, all the while absorbing all she could about the music business. 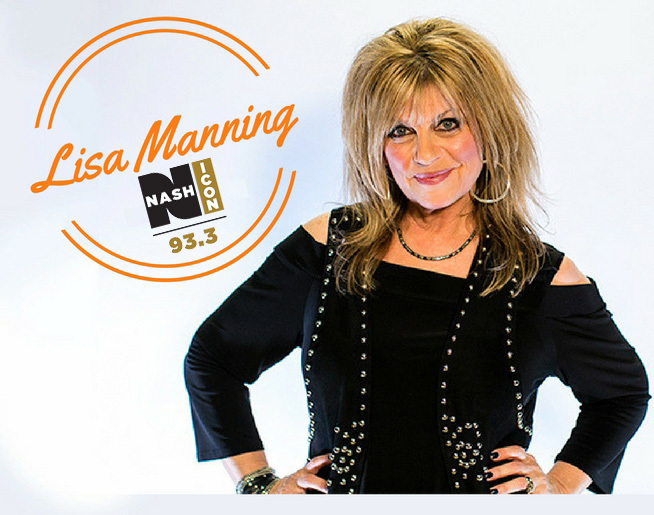 “I LOVE what I do and to be able to work with this incredible, legendary radio station, playing country music in Nashville is especially cool,” endears Manning. These days, when Lisa isn’t in the studio, you’ll find her spending time with her family…and, oh yeah, attending Tennessee Titans games. While Manning won’t ever relinquish her Washington Redskins jersey, she has embraced her home-town team, and she and Charlie are season-ticket holders of our boys in blue and white. GO, TITANS!!!! Send an email to Lisa!